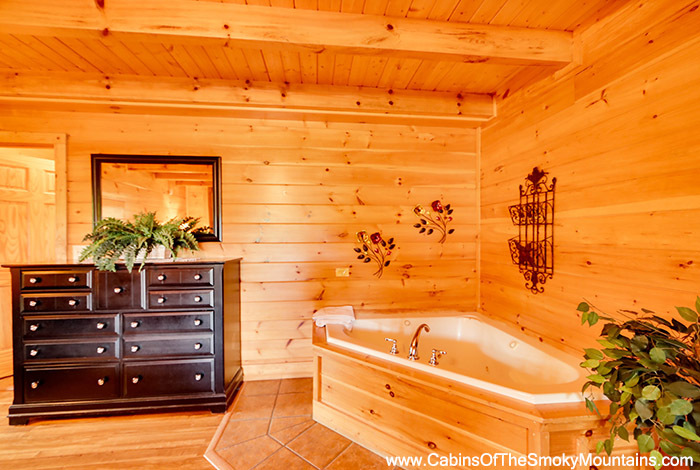 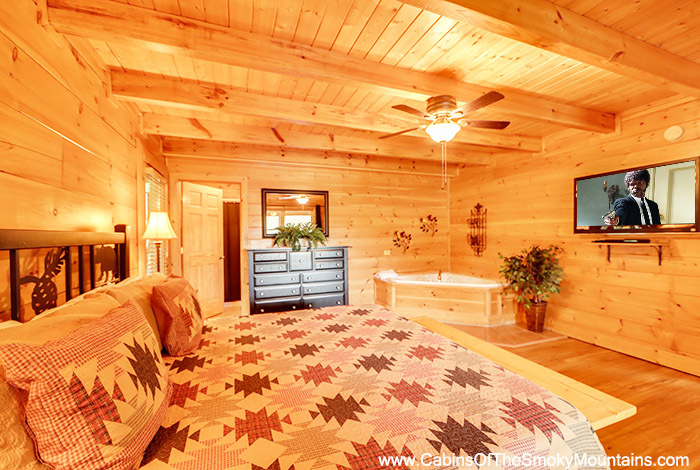 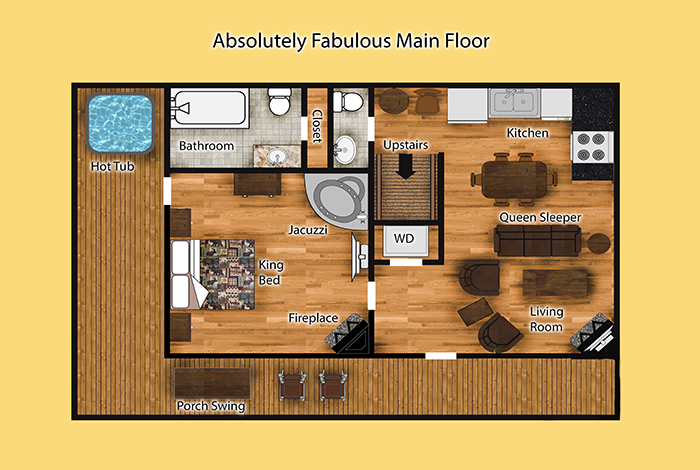 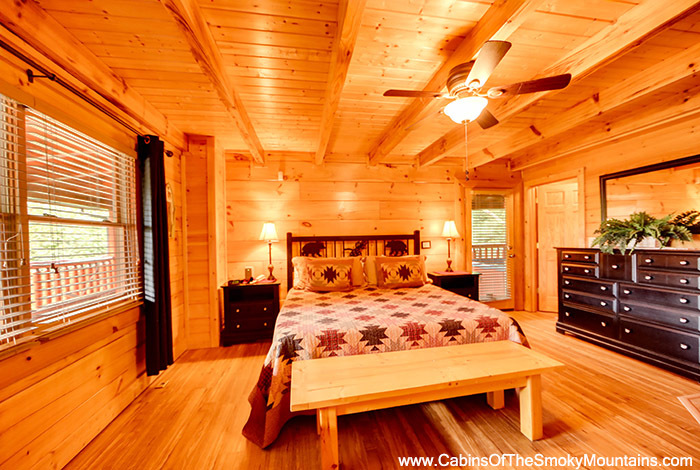 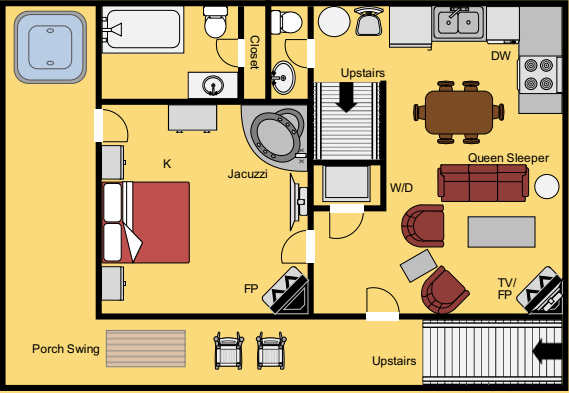 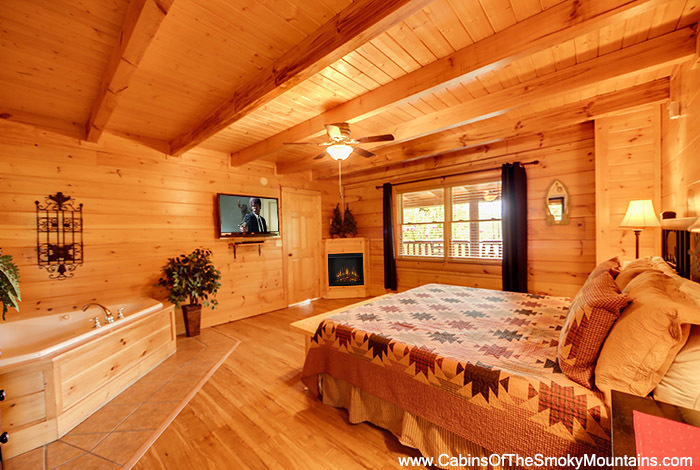 If you are looking for that perfect romantic or family getaway, then this luxury one bedroom , true log cabin, “Absolutely Fabulous” is perfect for you. 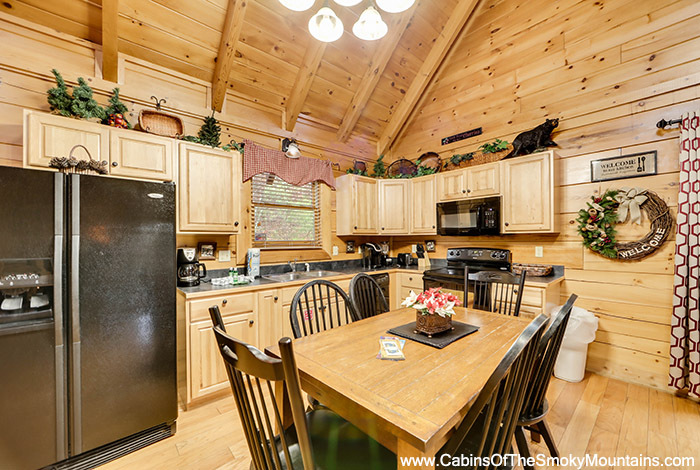 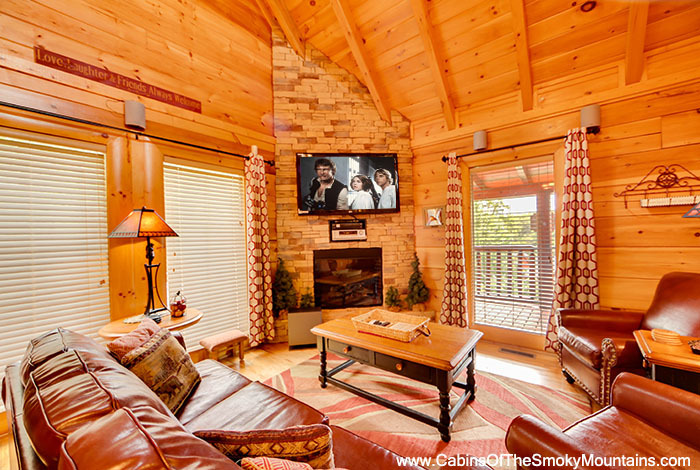 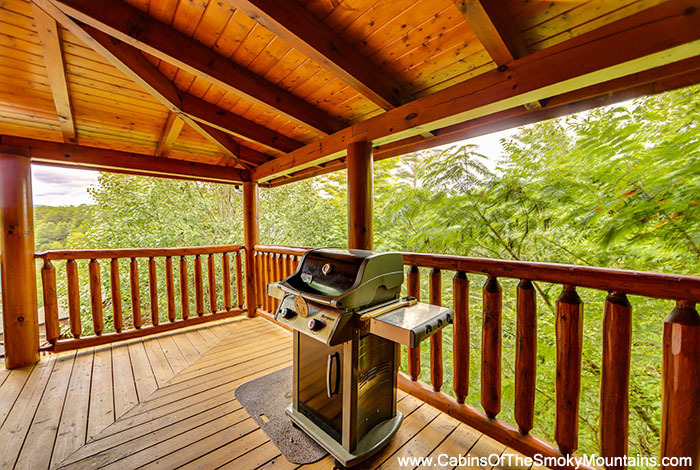 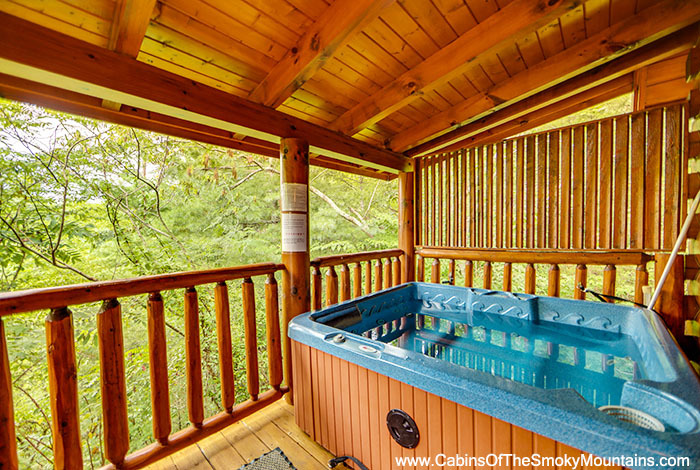 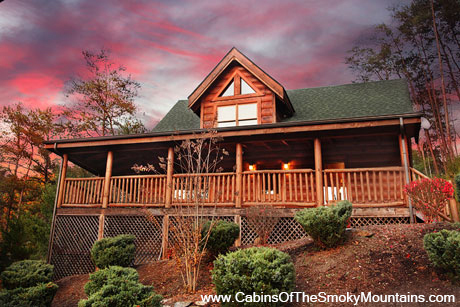 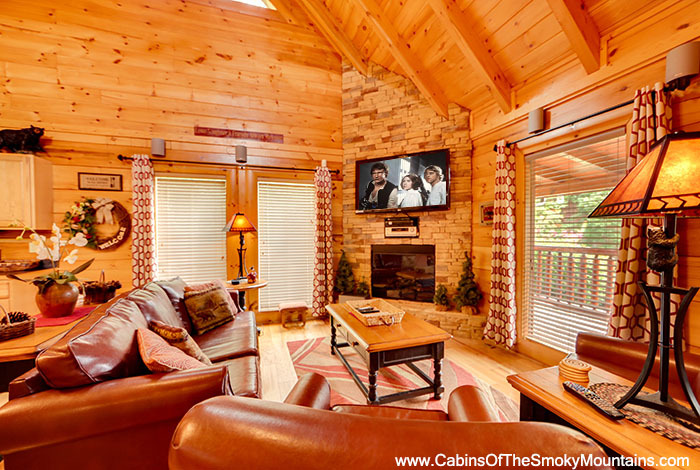 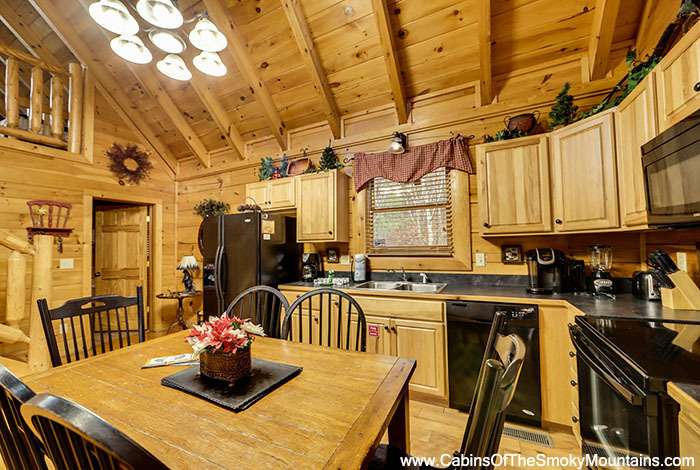 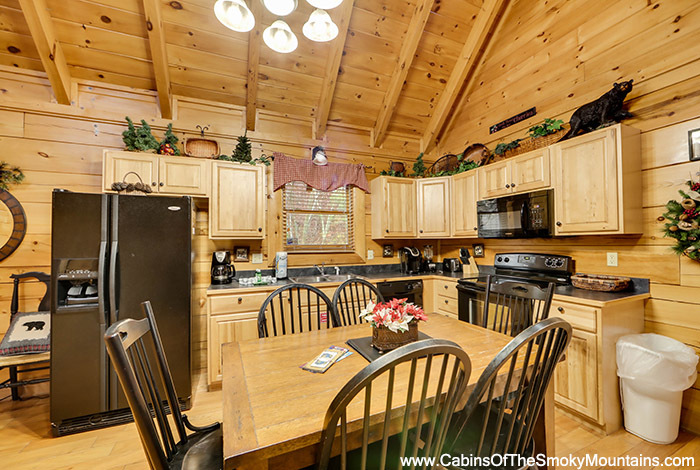 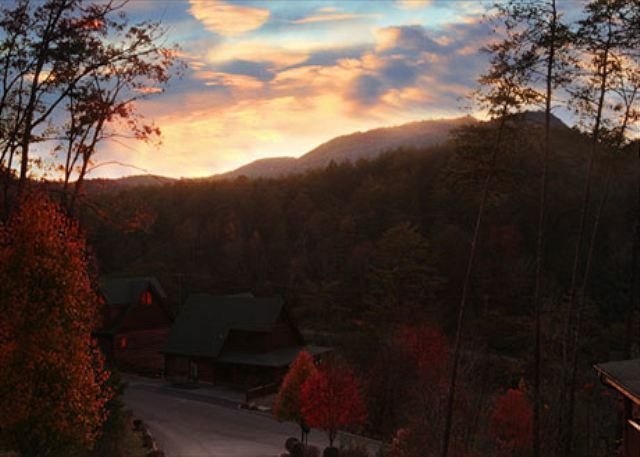 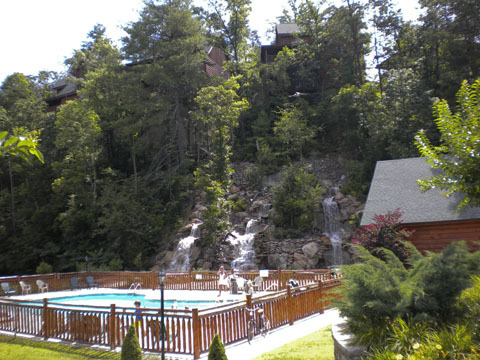 With easy access and being minutes from downtown, in the sought-after gated resort, Bear Creek Crossing, this cabin is in a centralized location for you to enjoy all the attractions the Smoky Mountains has to offer while taking advantage of the beautiful views of the mountains. 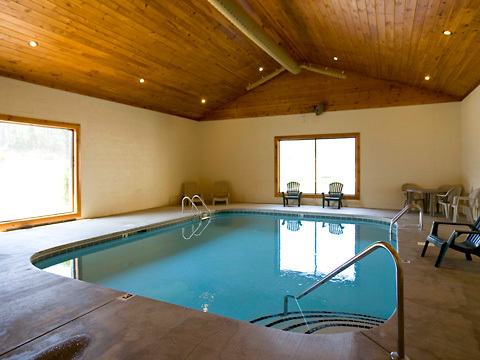 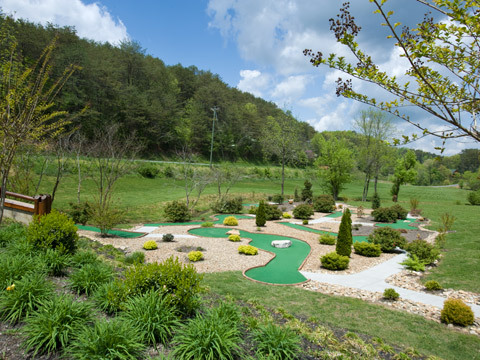 After a long day of exploring the mountains, you can unwind with the other resort amenities such as; Indoor and Outdoor Pools, Mini Golf course, and Walking Trails. 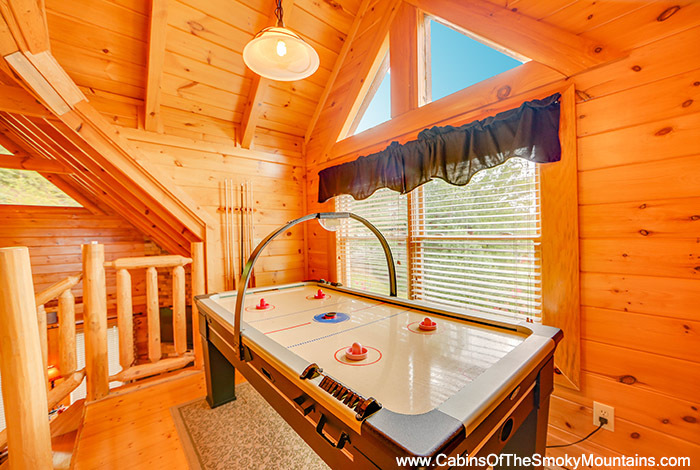 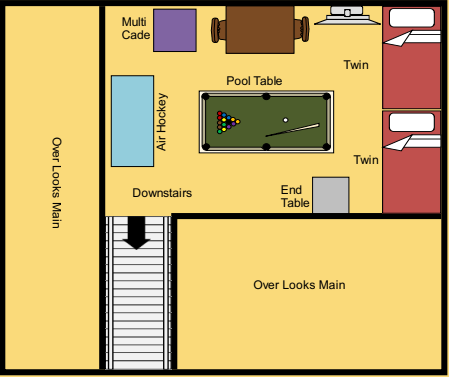 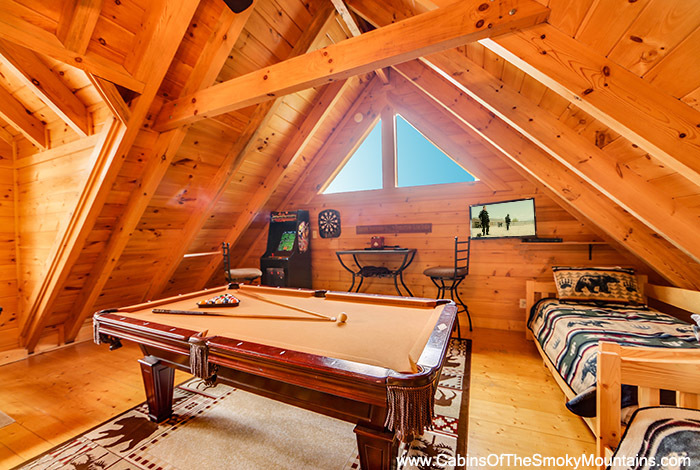 Or you can enjoy all the amenities this cabin has to offer you such as: privacy in your hot tub, jetted Jacuzzi tub in the master, BBQ Weber gas grill, or enjoy the pool table, air hockey table, Multi-Cade Arcade gaming system, and darts all in the loft area. 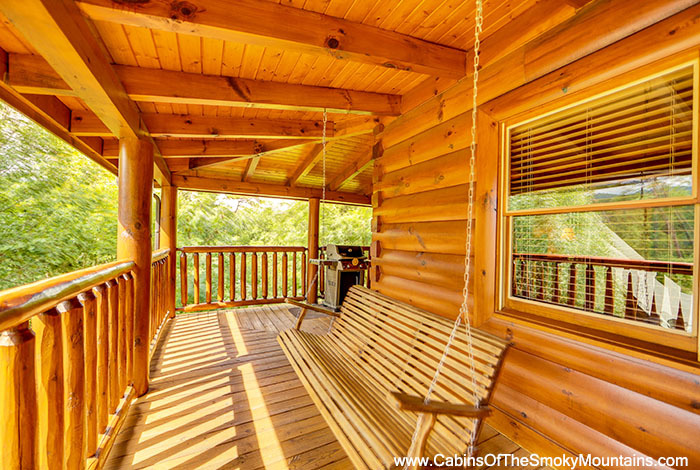 This cabin is sure to top off the perfect vacation spot for you. 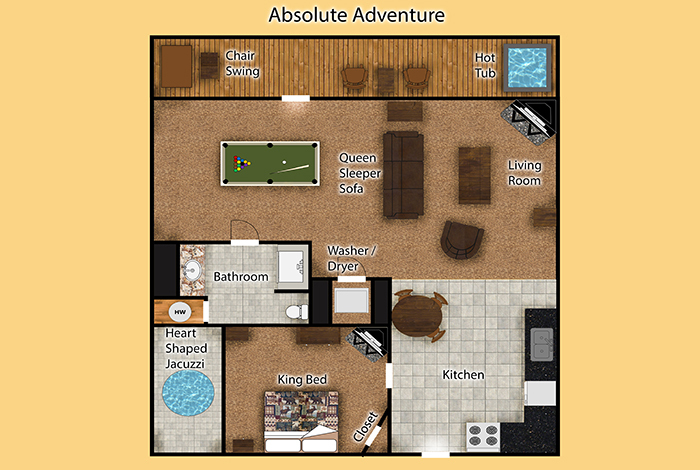 Book “Absolutely Fabulous” today!